We are in a great location for the festivals and live music events that take place in both Cornwall and Devon throughout the year, with some incredibly popular events located a very short driving distance from our hotel. 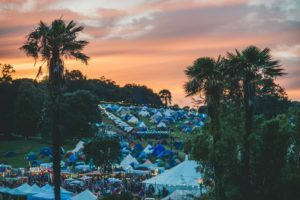 Whatever genre of music or type of festival you enjoy the most, you can take your pick from laid-back acoustic music on the beach, lively gigs in a transformed quarry surrounded by tropical plants and DJ sets in a cliff-top field. 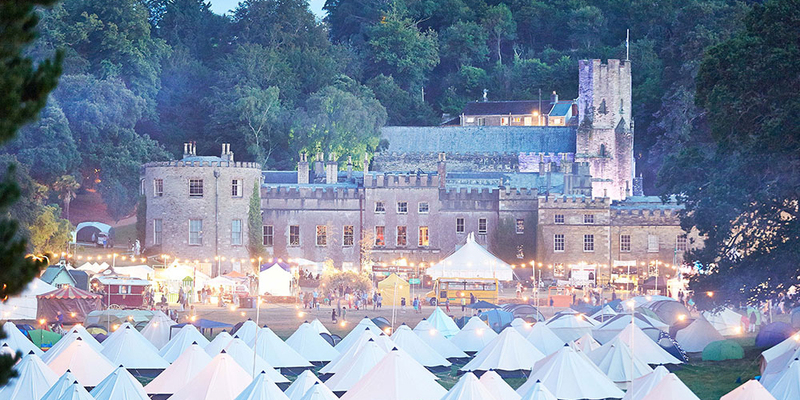 Described as a literary festival, but much more like a garden party, you name it, this festival has it. With live music, fashion shows, yoga sessions, comedy, food, science demonstrations and even rentable hot tubs. The festival is popular with locals, tourists and celebrities alike, drawing a swarm of creative and talented people to one location over the summer. There is also an array of really interesting workshops to get involved in, from mixology and advice on which cheese to pair with which cider, to working with botanical inks and writing beautifully in a calligraphy class. 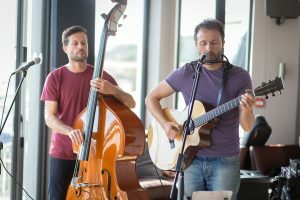 Held weekly throughout the spring and summer months, the free Woodburner Sessions on Lusty Glaze Beach, Newquay are the perfect way to spend a sunny evening, with great music, food and drink, served in a relaxed beach setting. In the peak summer months, there are also larger scale ‘Headliner Sessions’, with past performers including Ben Howard and Newton Faulkner. Each year, the North Cornish beach also welcomes the 37 piece Cornish Sinfonia Orchestra for a ‘Symphony By The Sea’, an evening of classical music, performed in Lusty’s very own natural amphitheatre, and the entertainment coming to a close with a spectacular cliff top firework display. Note before, there is only one access point to the beach, and this is via 133 steps, which may be difficult for less able guests. For line-ups and dates, go to www.lustyglaze.co.uk/events100/. Lusty Glaze is an hour’s drive from Bude. 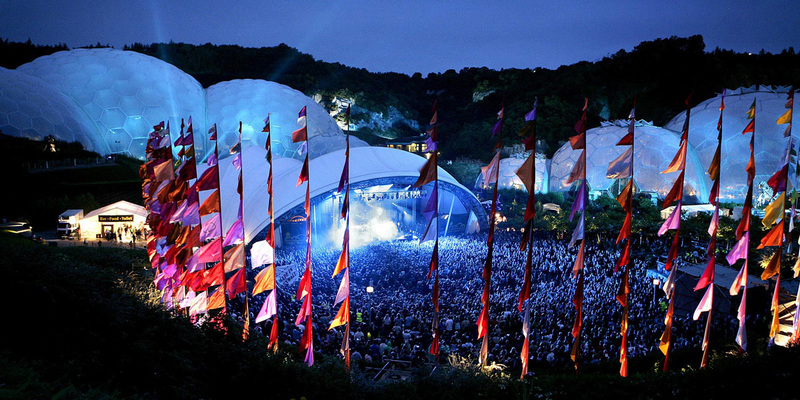 Set within the amazing grounds of the Eden Project, amongst the exotic plants and towering biomes, the Eden Sessions bring people from far and wide to see some world famous acts, previously hosting Elton John, Paloma Faith, Spandau Ballet, Ben Howard and Amy Winehouse, to name a few. This summer welcomes Madness and Bryan Adams to the stage, along with Manic Street Preachers and Jess Glynne, adding to the amazing line-up that the Eden Project has managed to secure every year. More than just a music venue, with yummy food and an incredible atmosphere, the valley in which The Eden Project is nestled truly comes alive. To purchase tickets and keep an eye on the ever-growing line-up, visit the website – http://www.edensessions.com/. The Eden Project is an hour’s drive from Bude. The Wyldes is a festival, event and party venue hosting an array of exciting music and comedy events this year. 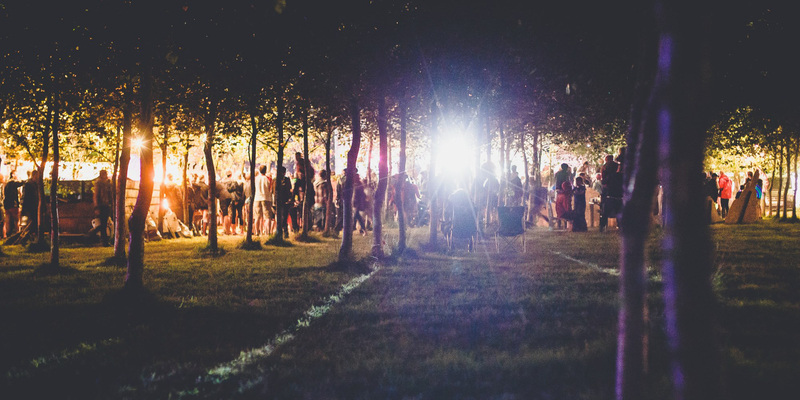 The prime location near Bude has been home to Leopallooza Festival for the past 10 years, a critically acclaimed and multiple award-winning festival known as ‘The Greatest House Party…in a field’. The music event has drawn numerous international artists including Bastille, Seasick Steve, Crystal Fighters, Kodaline, Jamie Lawson, Izzy Bizu, James Vincent McMorrow and many more. This year the event will be taking place from the 27 – 29 July, and will be celebrating its eleventh year of live music and care-free fun. 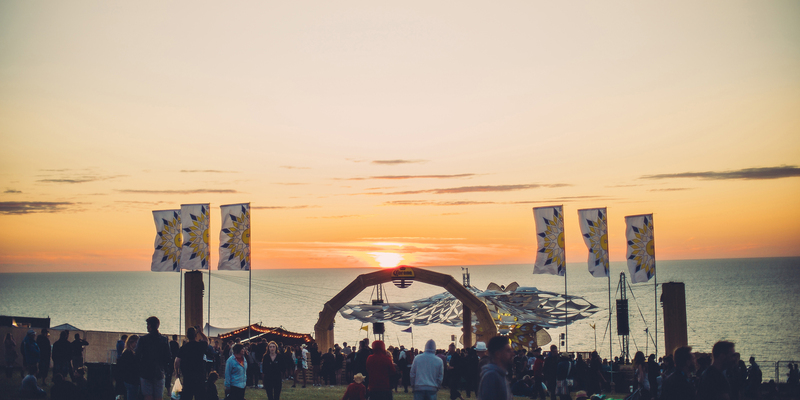 This summer welcomes Boardmasters back to Newquay, with some of the biggest names in music gracing the multiple stages throughout the festival, which sit atop Watergate Bay’s cliffs, boasting unspoilt views over the sea. The festival also hosts multiple skating, surfing and BMX competitions, which are held at another venue, Fistral beach, and are completely free to attend. The festival is hugely popular for locals and visitors alike, and the headline acts get bigger and better every year. This years acts will include James Bay, the Kaiser Chiefs, Foxes, Example and plenty more. Centred in Bude and with every venue within walking distance from our hotel, the annual festival takes over the town for four whole days, bringing some talented jazz singers, bands and solo musicians together to celebrate everything jazz. This will be the 39th year that the festival has come to Bude, and the line-up is pretty impressive. Our Head Chef Joe Simmonds will make a special appearance at Padstow Christmas Festival, to demonstrate his fantastic culinary skills on stage this year, sharing the spotlight with Rick Stein, Nathan Outlaw and Clare Smyth, along with plenty of other talented chefs. Take the pickling liquor off the heat. Slice the shallots into half cm rings and place in the liquor. Next, season the mackerel (it’s best to do this five minutes before cooking). Add a splash of oil to a frying pan and place on a low heat to warm up. Peel the cucumber and dice (or, if you have a melon baller make 10 balls of cucumber). Add to the bowl and season with salt. Place the mackerel skin down in the pan and hold down for ten seconds so it doesn’t curl. Go back to the mackerel. In total, this should be cooked for 4-5 minutes on the skin side only, on a medium heat. While the mackerel is finishing off, start assembling the ingredients on the plate with a swipe of the wasabi mayonnaise. Dot the apple cucumber and feta around plate, then take the shallot rings out of the liquor and lean a few of them against against the diced salad. When the mackerel is 90% cooked, flip over, take off the heat and place on your salad. Garnish with lime zest, a pinch of pepper and cress or pea shoots.